Adult High Color Leopard Geckos – We have some gorgeous young adult high colored leopard geckos in stock. 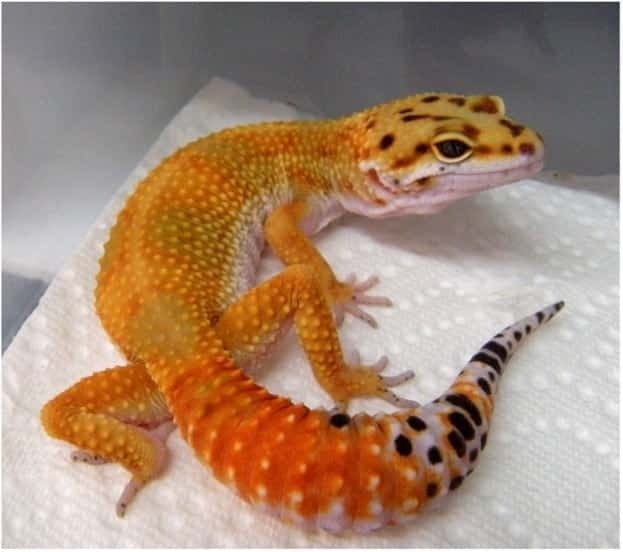 These vibrant “high colored leopard geckos for sale” are top quality in color and temperament. At GeckosGeckos.com, we have a biologist on site, and handle our geckos often in order to ensure a friendly, calm and relaxed pet, and only work with top genetics to ensure we are improving the captive bred species as part of our efforts to provide the best possible pet geckos for sale in the world. Leopard Geckos have some of the more relaxed and calm personalities in the reptile kingdom. They’re perfect for beginners and extremely popular among long time reptile collectors alike because leopard geckos make great pets. Captive Bred – WE ONLY sell captive bred geckos for sale. Choose: male, female or no preference.